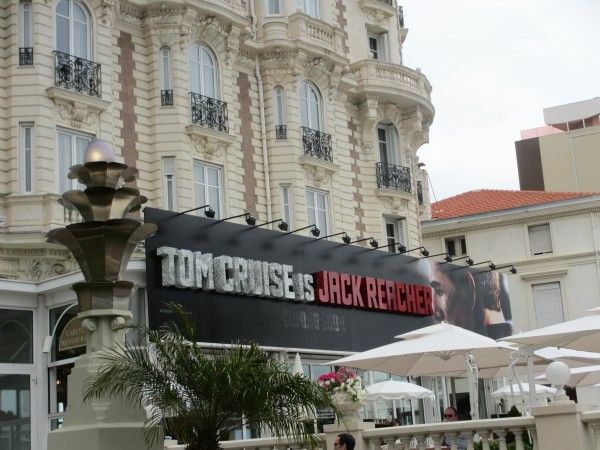 The first trailer is online for The Way of the Gun-director Christopher McQuarrie’s Jack Reacher, starring Tom Cruise. Unfortunately, it’s lost in translation unless you happen to speak Russian. Basically, the guy in the hospital bed is narrating how badass Jack Recaher is; Cruise himself confirms it later on with no translation necessary. An adaptation of the Lee Child novel, One Shot, Jack Reacher is the title character, an ex-military investigator who uses his imposing physical size (6’5”, 250lbs) and service experience to track down a sniper. Jack Reacher also stars Rosamund Pike, Robert Duvall, Richard Jenkins and David Oyelowo, along with Werner Herzog as the villain. The film is scheduled to open on December 21st, 2012. Hit the jump to see the trailer.